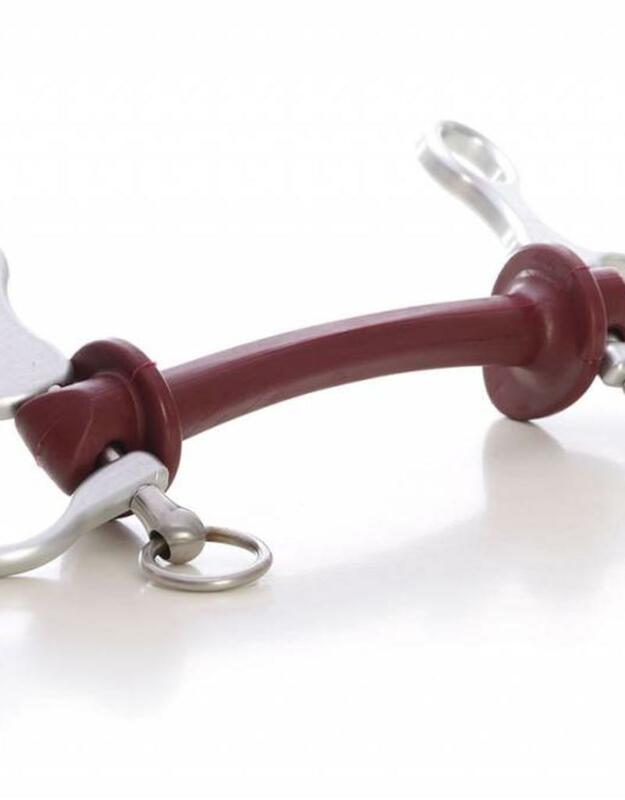 The Pelham bit is somewhere between a snaffle and a curb bit. 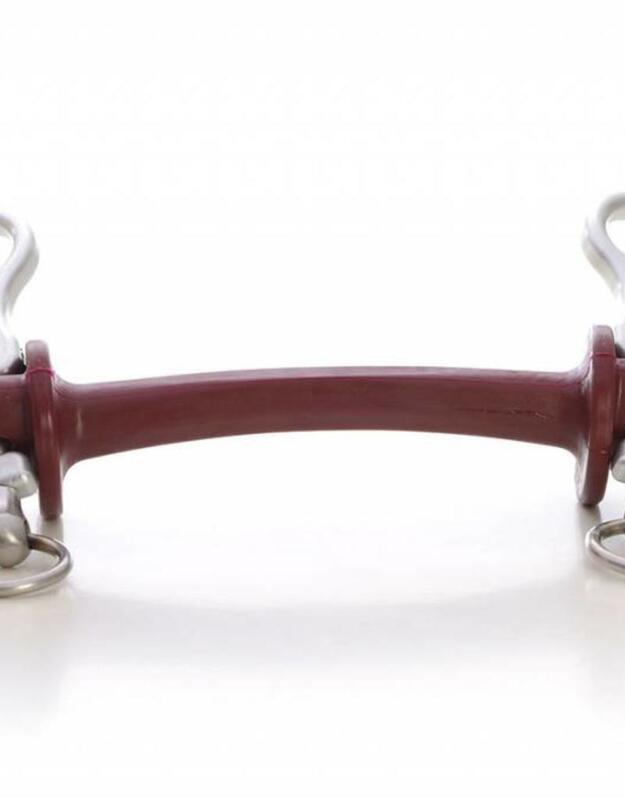 Unlike either, it allows for two sets of reins and thus is almost like a double bridle. As such, it works as either a snaffle or a curb bit, although it’s generally classed as a type of curb bit. It’s also useful to transition a horse from one type to the other. 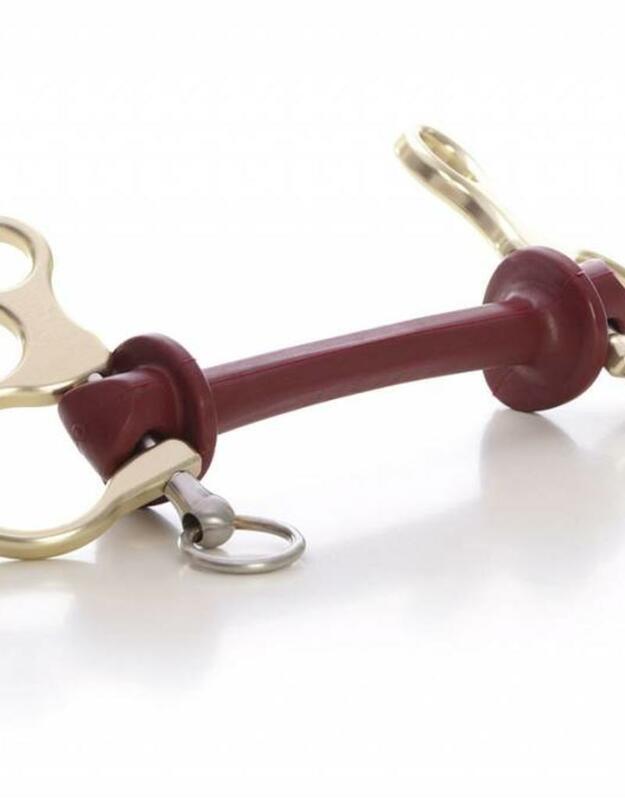 The Pelham bit is popular for polo, as it may work like a double bridle without being one. All bits are available in middle soft (green) and soft (red) hardness.